The date when funding will be restored by Congress has not been established but under plans established by each Federal agency, as the lapse in funding continues more Federal government functions will be shutdown. Department Of Justice’s Contingency Plan. The Department of Justice has issued guidance, which gives priority to continuing work on criminal cases. Consequently, no employees in the Tax Division of the Department Of Justice will be authorized to work on CIVIL MATTERS during a lapse in appropriations. Updated Contingency Plan Of The IRS. Maintaining criminal law enforcement operations. The IRS will also be opening its call sites and responding to taxpayer questions; however, all IRS audit and examination functions and nonautomated collections will continue to be put on hold during the shutdown. 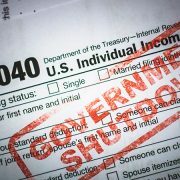 When funds are appropriated to the IRS, furloughed employees will return to work (they are expected to return within four hours after the reactivation is announced if it occurs on a scheduled work day). How The Federal Government’s Shutdown Is Creating Opportunity For Taxpayers With IRS Debt. At midnight on December 21, 2018, funding for Federal government agencies lapsed triggering a partial shutdown of the federal government. The date when funding will be restored by Congress has not been established but under plans established by each Federal agency, as the lapse in funding continues more Federal government functions will be shutdown. Internal Revenue Service’s Contingency Plan. The IRS being an agency under the Department Of Treasury in late November issued a fiscal year 2019 “Lapsed Appropriations Contingency Plan” that governs what will happen at the IRS during a government shutdown — but only through December 31. With the government shutdown now continuing into 2019, a new plan will have to be formulated. The initial plan covered only a five-day shutdown. Now that the shutdown is lasting longer than five business days and as of the writing of this blog no quick resolution appears in sight, the IRS will have to reassess ongoing activities and identify necessary adjustments of excepted positions and personnel. The initial plan anticipated that preparation for the 2019 filing season will not be affected by the shutdown. The initial plan also identified 9,946 IRS employees as “excepted/exempt” employees who would not be furloughed. The rest of the IRS’s 79,868 employees (as of November 10, 2018) would be furloughed, meaning they will be put on leave of absence without pay, under 5 C.F.R. Section 752.402. You know that at the Law Offices Of Jeffrey B. Kahn, P.C. we are always thinking of ways that our clients can save on taxes. If you are selected for an audit, stand up to the IRS by getting representation. 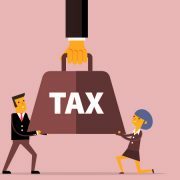 Tax problems are usually a serious matter and must be handled appropriately so it’s important to that you’ve hired the best lawyer for your particular situation. 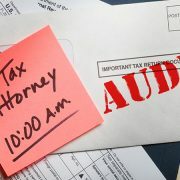 The tax attorneys at the Law Offices Of Jeffrey B. Kahn, P.C. located in Orange County (Irvine), the San Francisco Bay Area (including San Jose and Walnut Creek) and elsewhere in California are highly skilled in handling tax matters and can effectively represent at all levels with the IRS and State Tax Agencies including criminal tax investigations and attempted prosecutions, undisclosed foreign bank accounts and other foreign assets, and unreported foreign income. Also if you are involved in cannabis, check out what our cannabis tax attorneys can do for you.